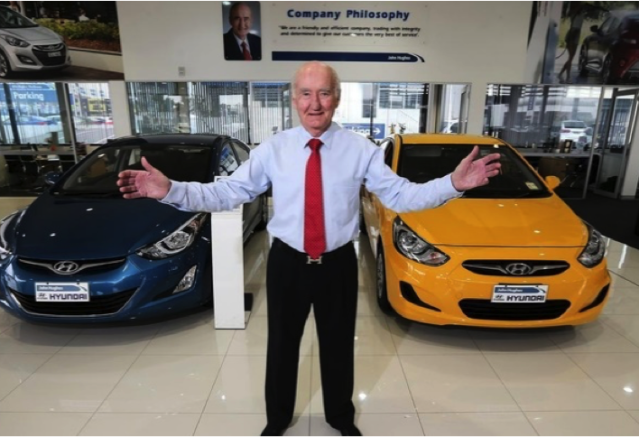 Today we are joined by John Hughes to discuss the car dealership market in WA, as well as some important issues regarding business management. FM: We are going through tough times. How do acquisitions by large corporations in the WA market affect further growth of a well established business like yours? John: The motor industry isn’t any different to a lot of other industries, where the big are getting bigger and the small are getting smaller. It is certainly almost to the point in the car business – and in lot of other industries – where you have the really small get absolutely wiped out. Increase your turnover – Easy to say, how you do it? Improve your profit margin – How? There’s so much competition? Reduce your overheads – There is a limit, you need staff and you need marketing. The bigger conglomerates particularly in the car business, with their economies of scale and massive numbers can gloss over these issues. A decent size of dealership should make, let’s say a million dollars a year. Automotive Holdings Group (AHG) dealerships may only make half of that. Because there are too many dealerships in the group, it is hard to keep the finger on them or they may not be that well run. But if they have enough of them make half million – no one will know. Stake holders will look at dividends, share price, so stakeholders won’t quite follow that. AHG in particular have done remarkably good job. Because of the sheer scope, every time they buy a dealership in Sydney or Melbourne, the investors will think – that’s great – they are earning accretive. FM: How does this apply to pre-owned car operations? John: The other thing in car business is, it might sound surprising when you look all the cars I’ve got, biggest challenge in our case, is not getting enough good used cars. I am talking about variety – I am a Hyundai, KIA, and Ford dealer but I don’t buy too many Mazda’s, Honda’s or Toyota’s. We are wholesaling less cars to other dealers than we used to do before. The older cars I am tending to keep. So the smaller dealers stock is drying up. Where do they get the stock from? AHG are now keeping more of their own stock. On wholesale they don’t give anything except the really bad cars, so the smaller dealers are being squeezed out. There is no doubt that other big publicly listed automotive companies like AP Eagers will come to WA. Should they be talking to me? They probably will, because they haven’t got an influence at all in WA. So that will happen, AP Eagers will come. Japanese companies have just taken over DVG, and Singaporean companies just bought Bayswater Mazda. Yes, so that’s going to happen. FM: So how do you survive? John: As a small operator yourself, you will understand the pressures. Although the advantage you’ve got Filip, is you can derive a personal level of service and direct care for clients. If you are in a group it might be more difficult, it’s more conglomerate. To manage what I‘ve got, even in the big business I’m in, I get personally involved. I deal directly with my customers, look after them and ring them. I sell cars and I handle complains. Your advantage is they are dealing with you – you are the one. There is MBWA (Management By Walking Around) and there is MBBI (Management By Being Involved). That’s what I do, I am very involved. If the phone rings, I pick it up. I have no idea who’s on the other end. Could be a customer, or somebody with a complaint, might be someone wanting to sell me something, it doesn’t matter. It is only common decency, courtesy and good manners to answer that phone. FM: But you are a celebrity? John: Well, look, I don’t feel like a celebrity. I guess I am but I don’t feel like it. I am very humble and I keep my feet on the ground. My father was a bus driver, my mother was a bus conductor, and I shared a bedroom with two other brothers. The best thing I had was ambition not be like what I grew up as. I was fortunate because that was my motivation. FM: How would you describe the ideal market conditions for your customer to buy cars? John: The people who have the money need much stronger motivation to spend. Fly in Fly out people have diminished, and the mining boom is over. Ok, 6% are unemployed but I am looking at 94% that are employed. An ideal market condition would be when everyone is full of confidence, money in their pocket and want to buy a car. That’s never going to happen, that is utopia. Although we had close to that for 3-4 years. We need confidence in the market, stable government, and people in work. The public are very easily led, like sheep and I am not saying that disparagingly. They get a bad headline and they back off. They are heavily influenced by media and fear pressure. An ideal market will be an orderly market, with competitors behaving rationally. I have competitors that are advertising new cars below cost. That is where the public company comes in. There is a pressure to make the sale. The loss of profit gets swallowed by all the others around. Individually not doing very well but the whole picture makes it up. FM: It is not their money so they can afford to lose it? John: It is good for the consumer but what level of service do you get? If you go and buy something from someone who doesn’t make any profit and you come up with a problem or you need some help and assistance, you only hope they have done enough profit elsewhere so they can look after you. FM: What is the simple way architects can add value to your growing business? John: The first thing they should do is knock on my door. Nobody has. Sorry, that’s not true. One architect rings me twice a year. You asked me what I would do to get business in these tough times. Knock on doors. You cannot beat the personal contact.